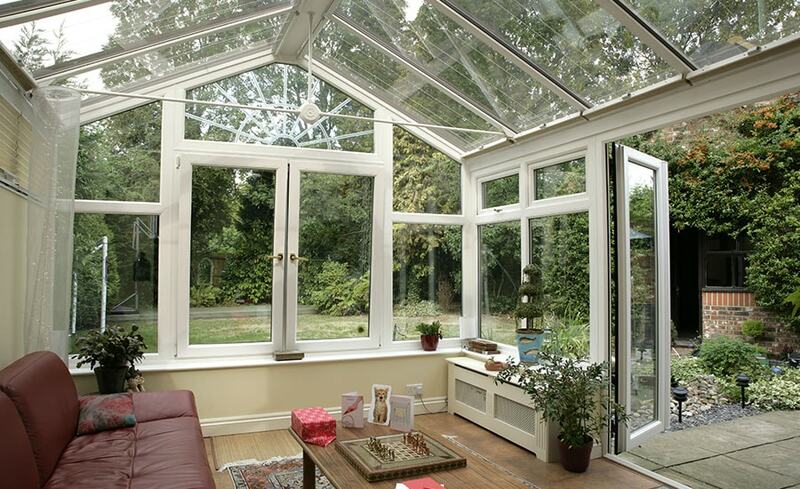 We'll create your perfect, bespoke conservatory in our durable, low-maintenance uPVC. Pick your favourite style, add a glass or solid roof, then we'll build it to your precise specifications - including size, colour and decorative finishes. If you simply want to upgrade your existing conservatory with a new polycarbonate, glass or solid roof, we can do that too. We look after every part of your conservatory’s design and construction ourselves to ensure that it’s built to the highest standards. We’ll help you decide whether to choose a polycarbonate, glass or solid roof (with or without glazing), select your favourite window style and single, French, patio or bi fold doors, then add your own twist with some beautiful finishing touches. Finally, using top-grade uPVC that’s extruded in our UK factory, our skilled craftspeople will fashion the elements according to your individual design. Our double-glazed glass is of the highest quality too, preventing draughts, reducing outside noise and providing energy efficiency – lowering your heating bills in the process. uPVC frames never flake, rot or rust and keep their original beauty with little more effort than an occasional wipe – giving you more time to enjoy your beautiful new living space. If you already have a uPVC conservatory and would like to upgrade it, we can add a stunning new glass, polycarbonate or solid roof to most existing shapes. Choose traditional white, our ever-popular White Knight or one of our range of natural wood effects for your new conservatory. Or, if you prefer, opt for our dual colour option of a white interior paired with a wood-effect exterior. 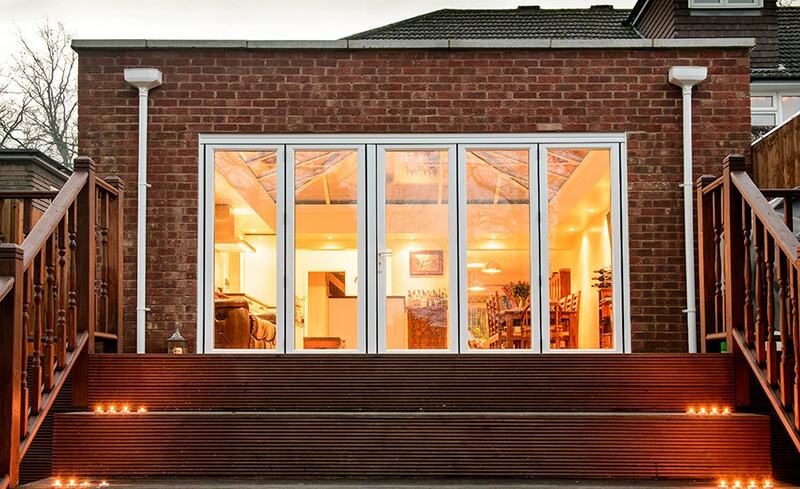 From ordering to after-care, we're proud of the Benefits of an Anglian Conservatory. Our professional team offers expert advice to help you find your perfect design, offer easy payment methods and carry out fast and efficient installation work. We've 50 years in the industry and are so confident of our products' quality that we guarantee them for total peace of mind. Our 'Good to be Home' magazine will inform and inspire you, whether you want to keep up with the latest home technology, make your property more energy efficient or embark on a new interior design project.